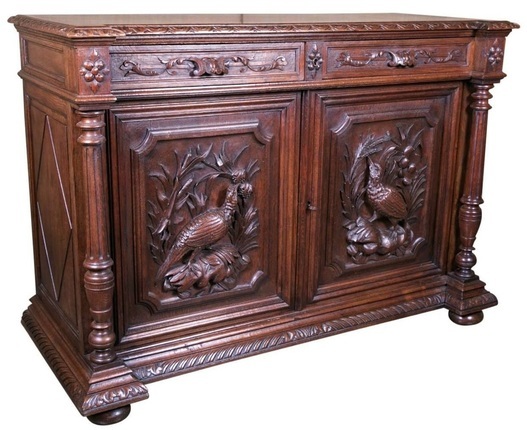 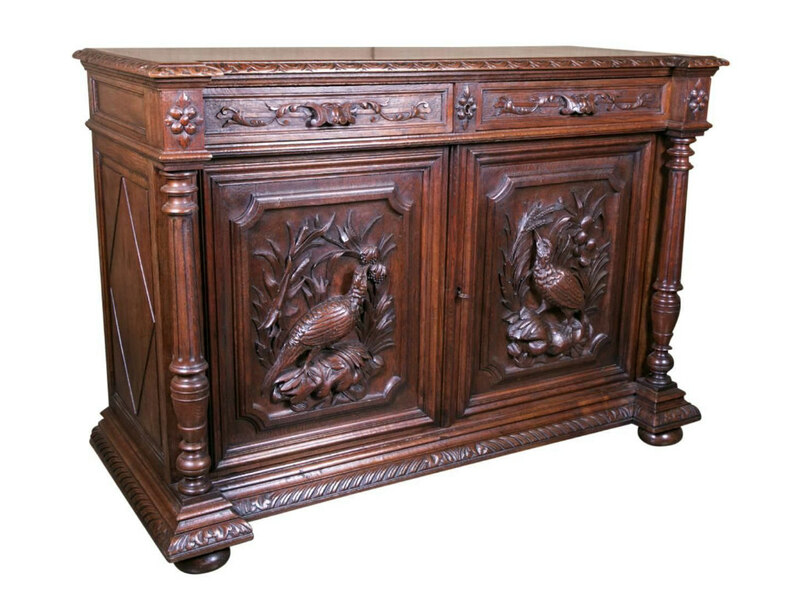 Superb Louis XIII buffet de chasse (hunt buffet) in solid old growth French oak with two carved drawers above two doors with bas relief carvings of game birds. Circa 1880s. 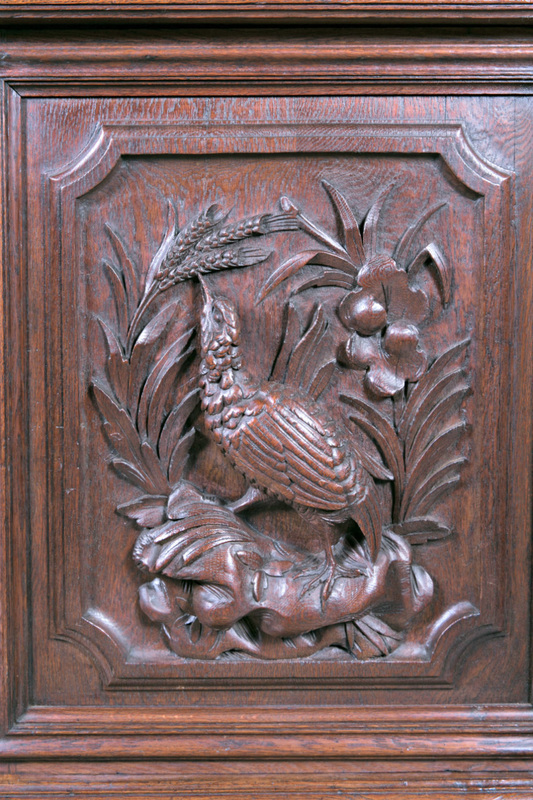 The two intricately detailed doors featuring wild fowl surrounded by brush and leaves are solid carved panels done by an expert ébéniste. 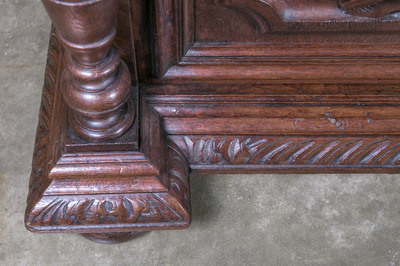 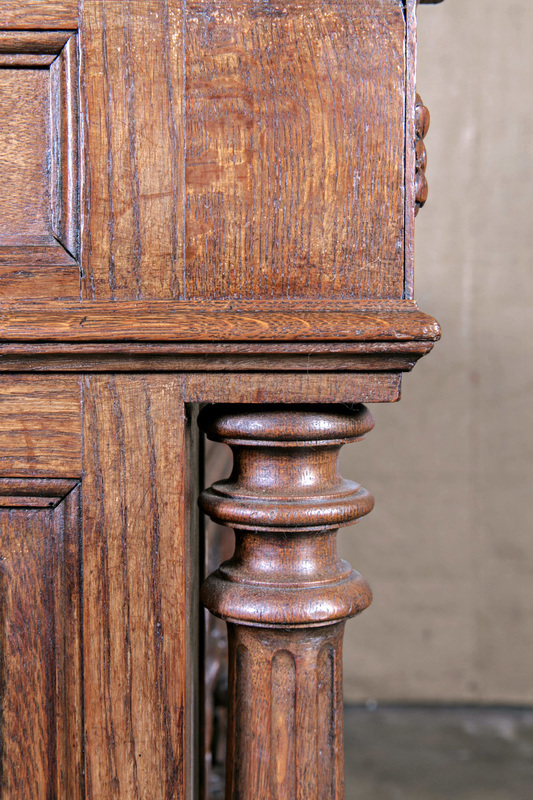 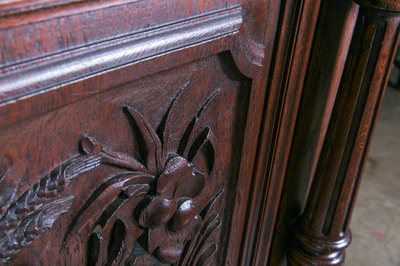 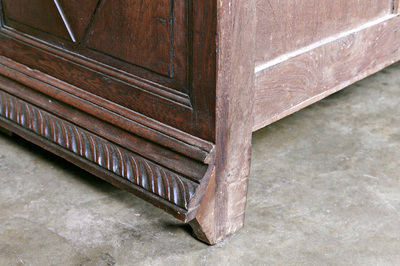 The doors are flanked by fluted and turned balusters resting on two front bun feet and two back block feet. 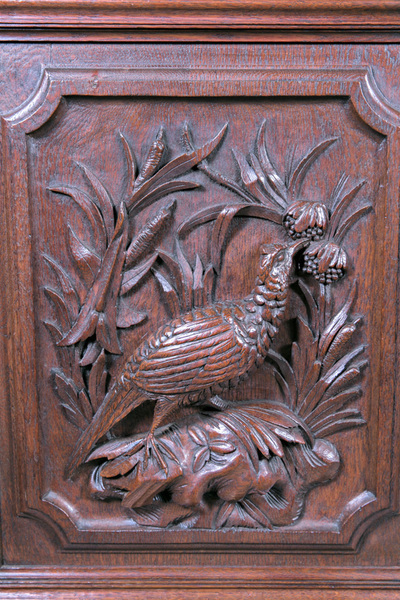 From a hunting lodge in Normandy. 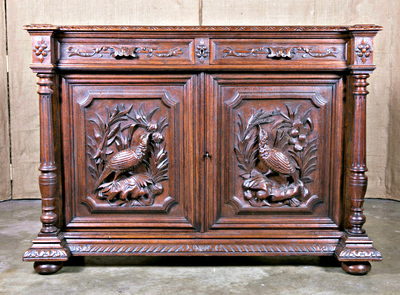 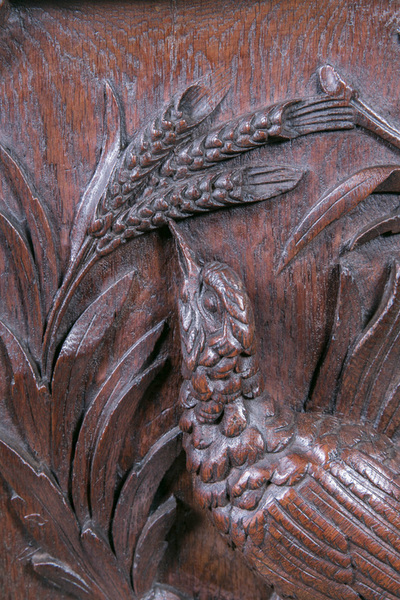 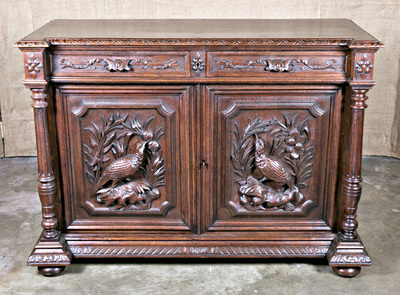 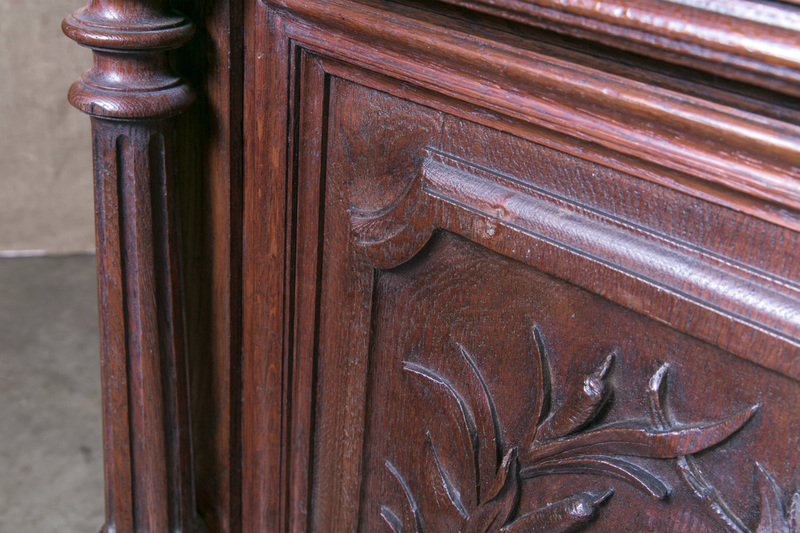 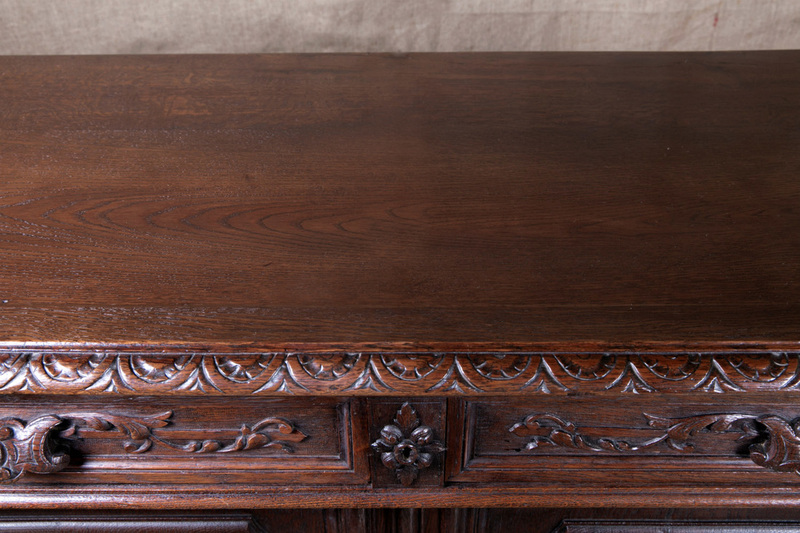 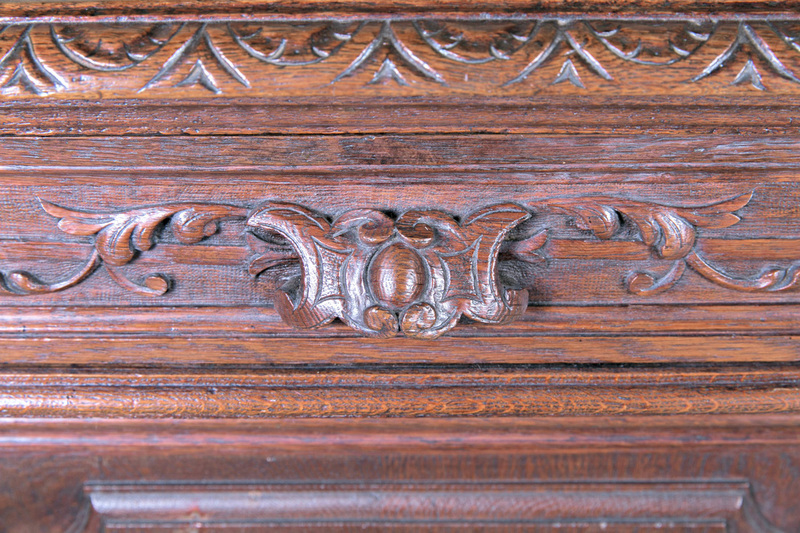 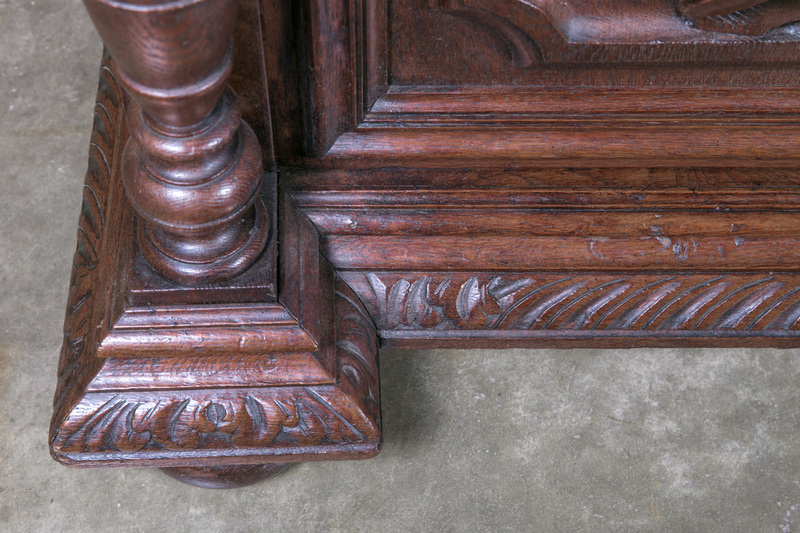 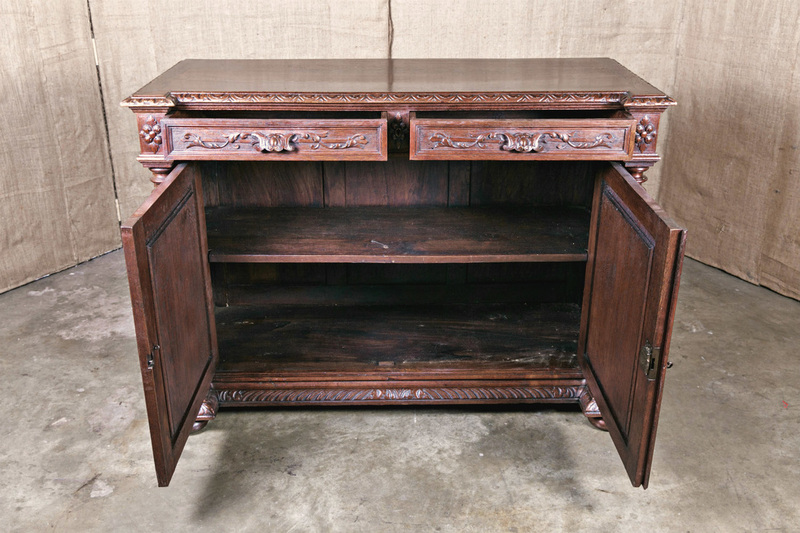 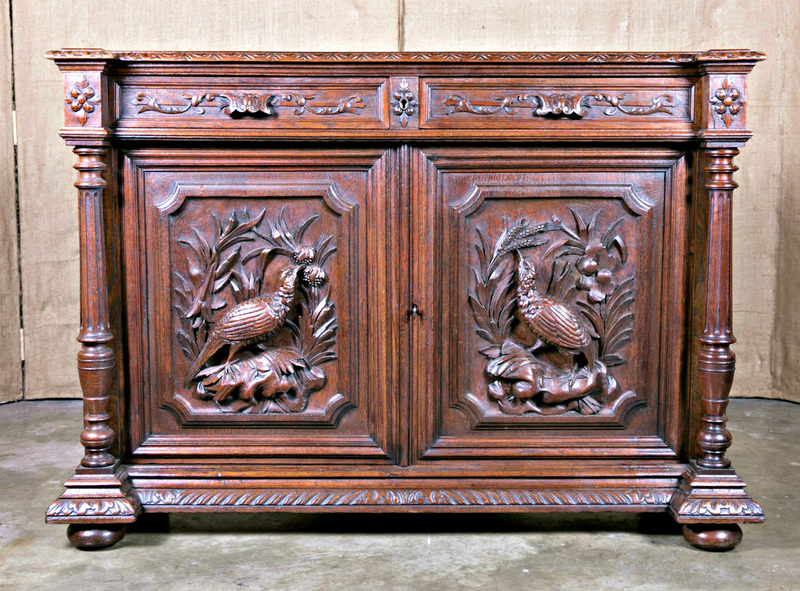 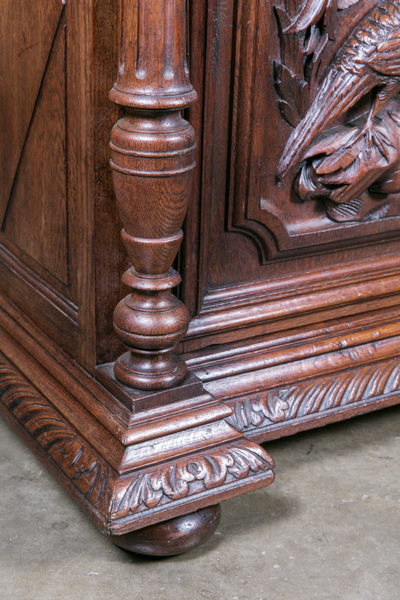 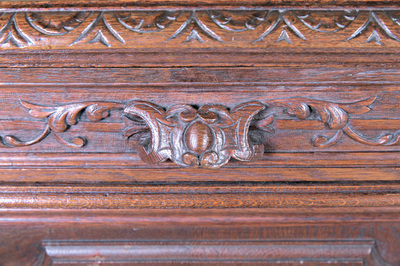 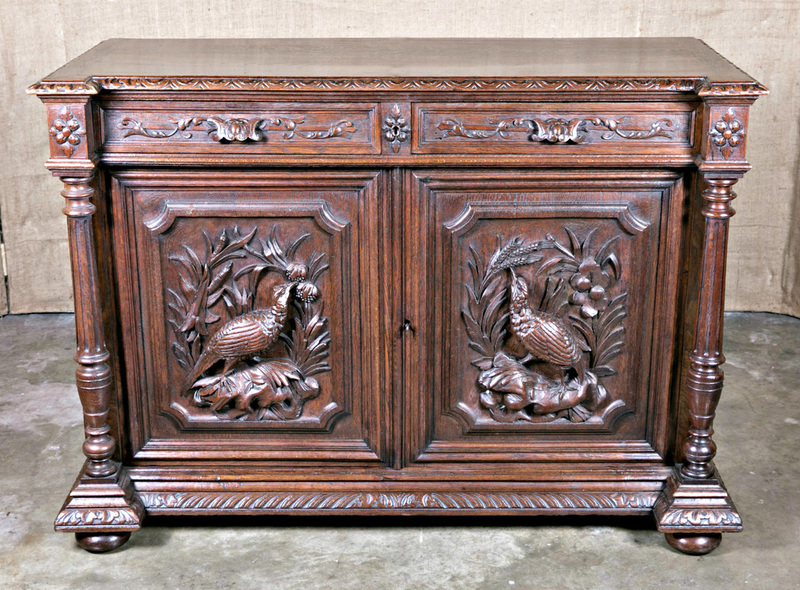 This meticulously carved hunt buffet with a wonderful aged patina is a fine example of late Renaissance style furniture. 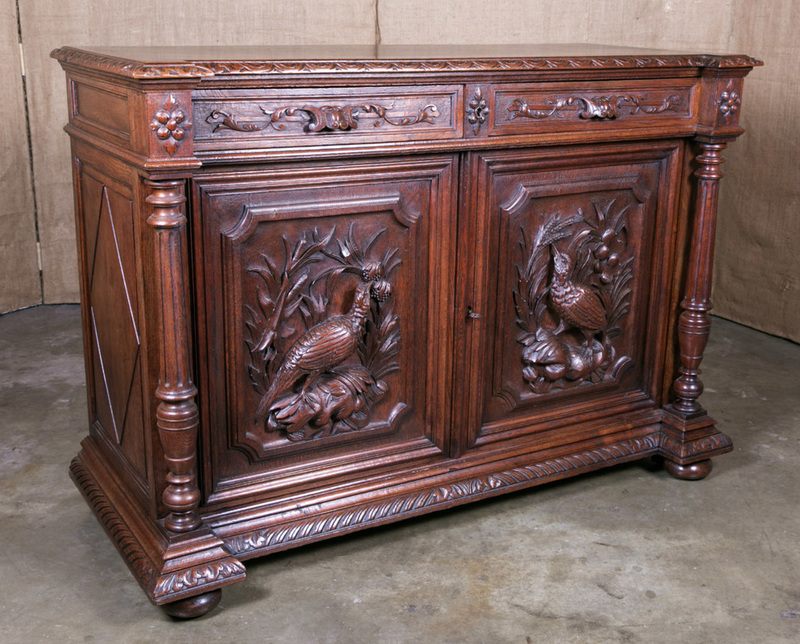 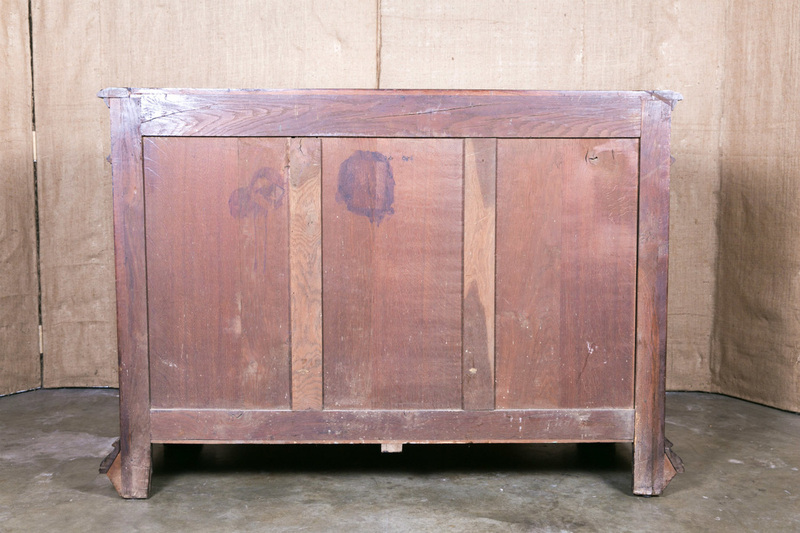 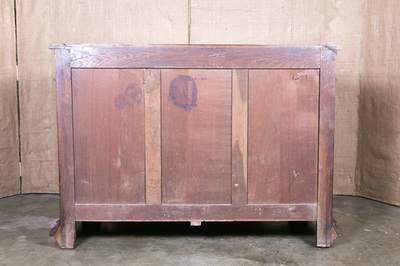 Buffets de chasse were found in French hunting lodges and were used to present game after the hunt. Various forms of the hunt were depicted in the furniture, tapestries and paintings over the centuries. The hunt was considered to be a pastime of Royalty and the privileged class.